Dawn breaks over the water. Adam leads a column of five other boys through the high, golden grass to the softly lapping edge of Lake Volta in Ghana’s central region. The group of boys will spend the better part of the day fishing under a hot equatorial sun. They’ve come from different towns, at different times, but they all have one thing in common. Each one of them was bought by the same fisherman to come and work as his slave. Adam is just one of 20,000 children on Lake Volta who the International Labour Organization reports are working for slave masters. Most of the children come to the lake from hundreds of miles away. They are sold by their desperately poor parents to human traffickers, sometimes for as little as $250, which in this area, is what it would cost to purchase a cow. CNN joined Adam and five other enslaved children working for Samuel, to witness what a typical day on the lake looks like for them. It started in the pre-dawn hours. The young crew loaded the gear onto a wooden boat and pushed off into the water. Adam leads the way to the lake where he has been enslaved for about three years. A young boy working on the lake. When CNN met him he said he hadn’t eaten for 24 hours. He was later rescued from slavery. This boy was bought by a fisherman for the equivalent of $75 a year. He was also rescued and given an education. By 9am, they had spent several hours on the boat. At one point, there was a shout from Samuel. Adam’s head lowered. He took off his shirt and swung his legs over the gunwale of the boat, disappearing under the surface of the dark brown, murky water. For children like Adam, diving under the water to untangle fishing nets caught on submerged tree branches is incredibly dangerous. And it’s one of the reasons adults use children on the lake. Their smaller frames and nimble fingers allow them to free the nets more easily. Of course, there are other reasons as well: since they are smaller than adults, they take up less room on the boats and can be dominated physically by their masters. This in turn, means there isn’t much of a fight when they don’t get paid for their work, which is always. While slavery may be as old as recorded history, the problem of children being used in the fishing industry on Lake Volta is not. The lake was only created in 1965, when Ghana constructed a hydro-electric dam downstream, using funds from the Word Bank, the United States, and the United Kingdom. The dam now supplies all of Ghana’s electricity, with the surplus sold to neighboring countries. 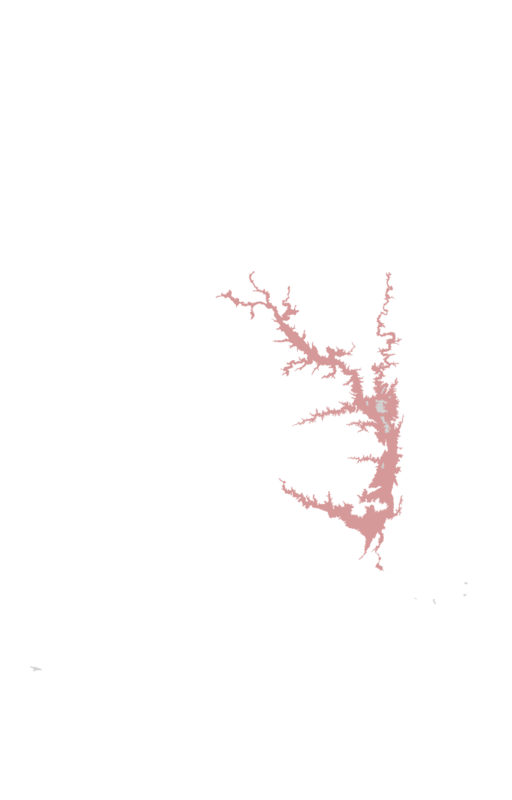 Lake Volta is considered the largest man-made lake by surface area in the world. Much of the land that was flooded was forest, and trees still stand just below the surface. “Some people might think because the lake is so big, it would be difficult to find them (child slaves). But it’s not, and that’s the heartbreaking thing,” says George Achibra, Jr., projects coordinator for the Partners in Community Development Programme (PACODEP). In the lakeside town of Kete Krachi, a fishing net is laid out to be checked before being taken back to the lake. Young girls prepare fish for drying. Their work is overseen by a so-called “fishmonger,” usually a wife of the slave master. Each week, hundreds of boats come to the Kete Krachi market, where dried fish are sold, often obtained through the work of slave children. PACODEP is a Ghana-based non-profit which rescues the children they meet on the lake, then provides them with shelter and a chance to go to school. Their shelter, called Village of Life, houses roughly 100 children at any given time, most of whom have been trafficked on the lake. Achibra says, in their experience, it’s nearly impossible to reunite the children with their families, because the parents are the ones who sold them in the first place. Extreme poverty often forced parents into a ghastly choice: whether to sell one child to traffickers, to provide money for their other children to eat. “We've realized that when we rescue these children and give them back to their family, they don't really take care of them, but end up re-trafficking them,” he says. It was through Achibra, PACODEP and the Polish-based Kulczyk Foundation, which supports them, that CNN met Adam. Neatly arranged shoes outside the entrance to a dormitory for rescued child slaves at PACODEP’s Village of Life. PACODEP runs a school for hundreds of local children, as well as nearly 100 former child slaves, freed by the organization. An English class at the PACODEP school. The families of local children pay a small tuition fee to help cover the costs of caring for, feeding and educating former child slaves. Achibra had first encountered the boat with Adam and his master, Samuel, several days earlier. He began speaking with Samuel about using children that are not his, to fish on the lake. Two days later and back at the village, negotiations began in earnest under the shade of a thatched roof. At stake, the freedom of six children. First though, Samuel was asked to explain how he came to obtain the children he now enslaves. Of the 1,621 households surveyed in and around Lake Volta, over a third contained a victim of child trafficking, or slavery-like conditions. For its part, the government in Ghana is aware of the problem and working, albeit slowly, to remove children. In 2017, the country hosted its “National Child Labor Day” in the lakeside town of Kete Krachi, to call awareness to the issue. There is also an effort to register all the boats on the lake, which could make it easier to track down and punish fishermen using child slaves. 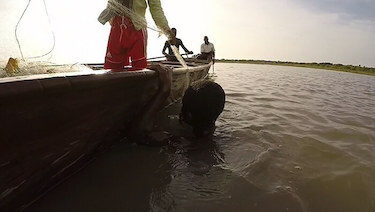 In the meantime, Achibra and an armed local police officer he’s brought with him, continue their work on the lake. Identifying children working for someone who is not related to them, then engaging in sometimes protracted negotiations with the fisherman. With Samuel, it meant listening to the concerns about how we would feed his own family, if he turned over the children to them. They explain to Samuel, however, he has only two options: the first, is to release the boys peacefully. The second, is to resist. But to do so means he be arrested and go to jail, while the boys are removed forcibly from his custody. The ultimatum works, as it often does in cases like this. Samuel agrees to release all six boys, but with a condition. He will turn over two boys immediately, including Adam. He also promises to release the other four boys in the following days, once they’ve finished off a bit more work. 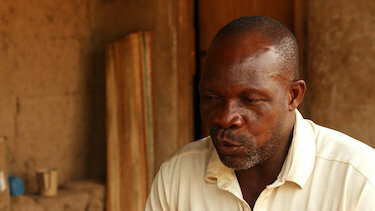 As part of the discussion, Achibra had offered to help Samuel develop an irrigation system around his home, so he can focus on farming, rather than fishing. Outsiders might think Achibra could grow frustrated going to the lake before dawn, day after day, meeting with the traffickers individually and then negotiating for the release of just a handful of boys - especially given the thousands of children trapped in slavery here. But Achibra sees it differently. “There are 78 boys that we help today. That is just a drop in the ocean, a blip on the lake, but for those 78 boys, it means everything.” he says. After another long, hot day, as the sun arcs its way to the other side of the lake, George says his goodbyes to Samuel and joins a convoy headed back to the lake. Young Adam is once again at the front, this time following another boy, as the group nears the water’s edge, and the boat waiting to take them to the Village of Life. It may not be the last time these two boys board a boat on Lake Volta, but it’s the first time they’ve done so in freedom. 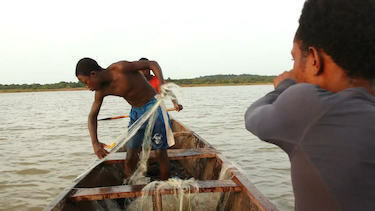 Watch the full documentary, “Troubled Waters,” about child slavery on Lake Volta. Since 2011 CNN has been shining a light on modern-day slavery. Traveling the world to unravel the tangle of criminal enterprises trading in human life. Amplifying the voices of survivors. Holding governments and businesses accountable. Join us on March 14 for #myfreedomday, when schools around the world will be raising awareness of modern-day slavery. 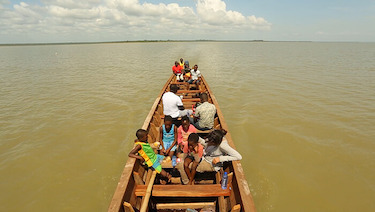 Watch the full documentary about child slavery on Lake Volta. CNN’s Nima Elbagir explores what life is like for the children on Lake Volta, and learns from a slave master how he buys small children for the price of a cow. 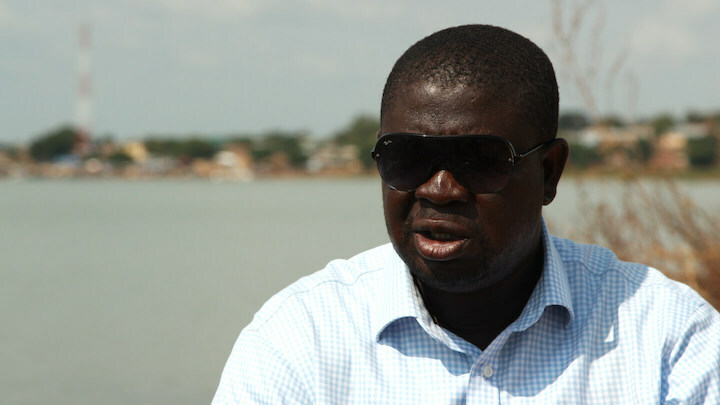 Ghana's Minister of Information Kojo Oppong Nkrumah spoke to CNN's Becky Anderson about his government's efforts to combat child slavery on Lake Volta. CNN Sans ™ & © 2019 Cable News Network.